Act 18:4 And every Sabbath he had discussions in the Synagogue, turning Jews and Greeks to the faith. Act 18:5 And when Silas and Timothy came down from Macedonia, Paul was completely given up to the word, preaching to the Jews that the Christ was Jesus. Act 18:10 For I am with you, and no one will make an attack on you to do you damage: for I have a number of people in this town. Act 18:19 And they came down to Ephesus and he left them there: and he himself went into the Synagogue and had a discussion with the Jews. 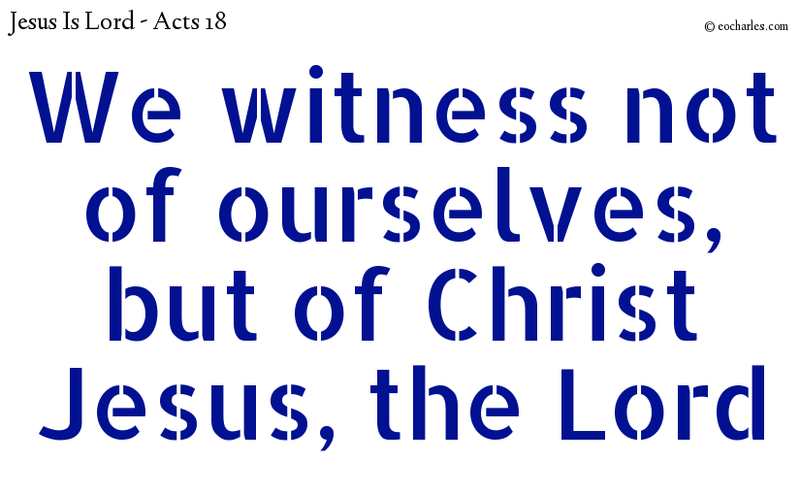 Act 18:28 For he overcame the Jews in public discussion, making clear from the holy Writings that the Christ was Jesus.